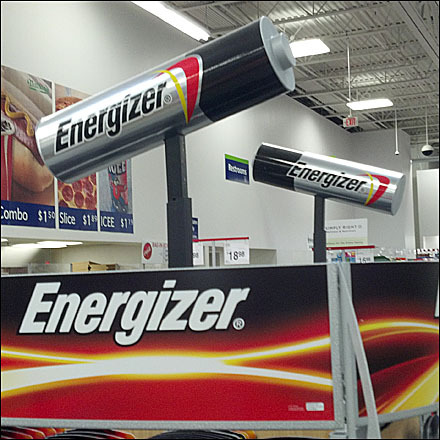 These Energizer Enlarged Overhead Display Props are badass batteries. The size and aerial position graphically define where you can find the batteries. A Giant D-Cell instead of AA Battery might have had more visual mass … but who uses D-cells anymore? My final question, is this “serial” wiring of displays more correct than parallel? 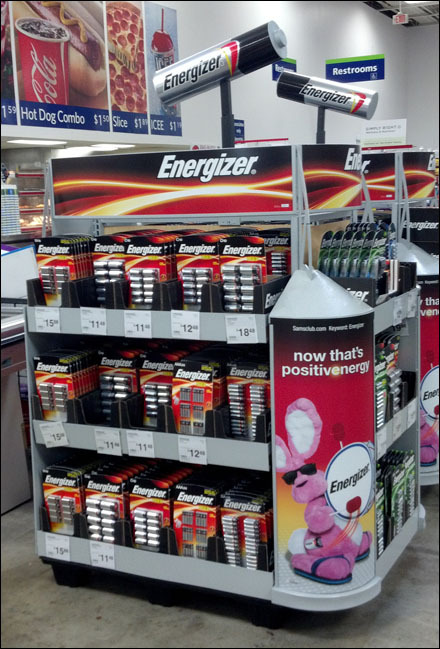 CLICK the Energizer Enlarged Overhead Display Props thumbnail for the entire display.